Being a part of the TOS Review Crew has allowed us to sample many different types of curriculum that we probably would have been able to otherwise. 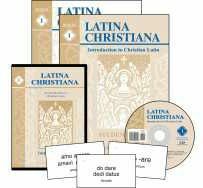 One such case is the Latina Christiana I Complete Set ($98.90) from Memoria Press. While Latin has always held an interest for me, it was never a top priority so I had a hard time taking the plunge to purchase anything. As it turned out, I didn’t have to! It’s funny how God works those things out. To say that we were excited when our package came would be an understatement for sure. There’s just something about that brand new school book smell that makes a homeschool mama’s heart pound with joy. With so many different components, I’ll give a quick overview of each so you get a better idea. 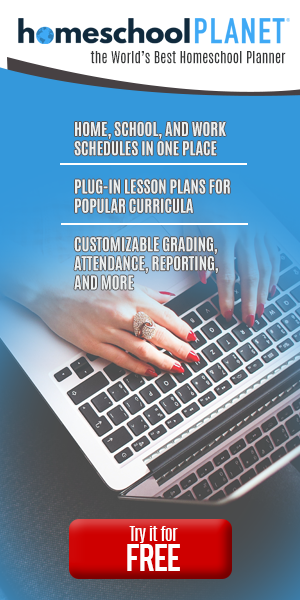 Within the 88-page, softcover student book are 25 lessons with a review after every 5 lessons. The pronunciation guide at the beginning of the book is super helpful. Julia would refer back to it often. There are also a couple maps, prayers and songs in the back of the book. The prayers and songs will be memorized through the book. Each lesson is a two-page spread that contains a Latin saying, 10 vocabulary words, grammar forms and a worksheet for the student to fill in. Let me start by saying how thankful I am for the extensive instruction and guidelines in the beginning of the book. With me having little to no background in Latin I was a wee bit concerned about being able to help Julia should she need it, BUT Cheryl Lowe (creator and teacher) quickly put those concerns to rest. I assure you, even if you have no previous experience, you CAN teach your child Latin with this program. The one thing that did throw me for a loop was the history guide within the teacher guide. I kept looking for the history section in the student book and in the back of the teacher guide. After a few frustrated moments I realized the section corresponds to a book called Famous Men of Rome, which does not come with the Complete Set but is recommended for a more immersed, history-rich experience with Latin. This one is pretty straight forward. The CD contains the correct pronunciation for prayers, songs and lessons. This is handy for when you’re on the go. This is the meat of the program. At the recommended pace of one lesson a week, you work your way through the video lessons taught by Cheryl Lowe. The introduction video is a must even if you have previous Latin experience. Cheryl teaches in a clear, understandable way that makes the program suitable for grades 3 and up. Each flash card has the Latin verb on one side and the English translation on the other side. There is one card for each word in each lesson. The corresponding lesson number is printed on the cards which is nice. I had my 6th grader use the program and she quite enjoyed it. She watched and completed one lesson a week. She kept a Latin binder and reviewed her verbs, greetings, songs and prayers throughout the week. This has been a wonderful experience with Latina Christian from Memoria Press.